Oliver Cromwell and his puritan revolution were a thing of the past. The monarchy was restored. Charles II and the Restoration were in full swing. But in 1683, there were some aristocrats who didn’t like the way things were going in the royal court. King Charles and his brother James, the Duke of York, were suspected of being crypto-Catholics bent on restoring the old religion to England. Charles was secretive in his sympathies but James left no doubt that he was an ardent Catholic. 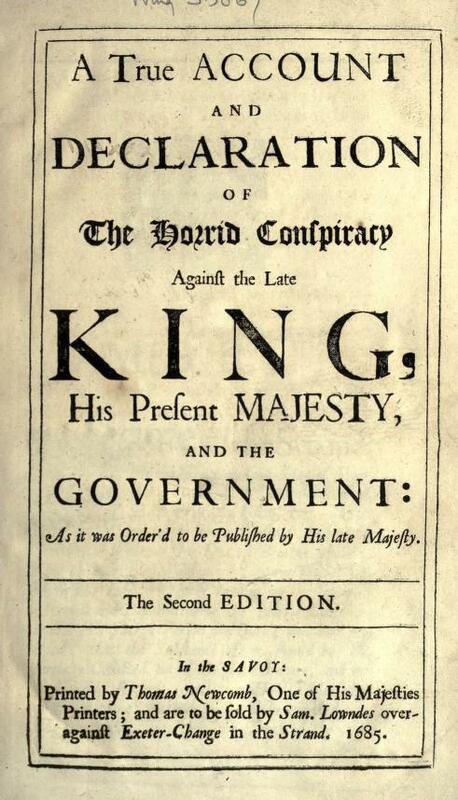 Some leading politicians took the view that James had to be blocked from ever becoming king. Some went a step further and concluded that both Charles and James must be killed. 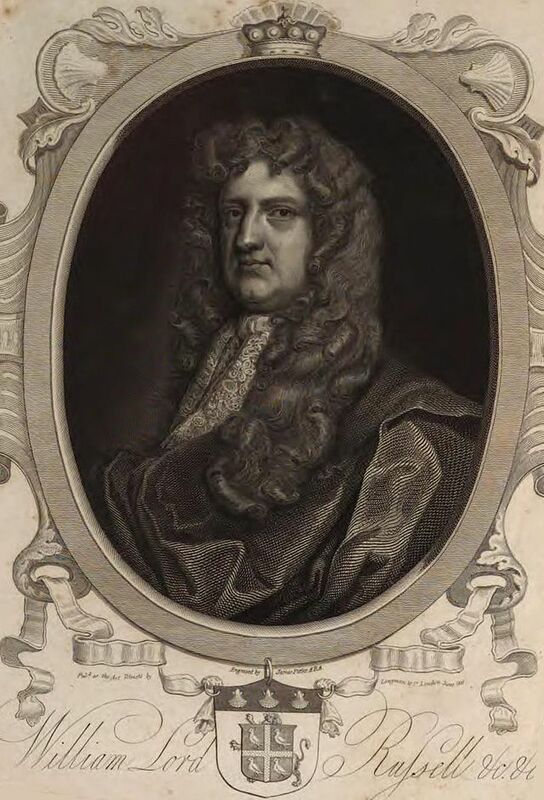 The resulting Rye House Plot was uncovered and several peers of the realm including Lord William Russell were put on trial. Almost inevitably, Russell was found guilty. Being found guilty of treason meant death. The only problem for the king was that Russell and his views had some support with the London mob. So an execution at Tower Hill could have led to a riot in favour of the condemned man. There were already rumours of an attempt that would be made to rescue Russell while on the way from Newgate prison to the executioner’s block. The Duke of York, the king’s brother James, came up with a novel solution. He hated Russell’s guts. After all, Russell and his friends had wanted to exclude James from the royal succession. Therefore – James asked Charles – could Russell possible be executed at his front door in Southampton Square? James and his buddies would therefore be able to watch Russell’s head depart from his shoulders over an agreeable claret from an upstairs window. The king decided this was a bit indecent. Instead, Russell was taken down Holborn to be decapitated in Lincoln’s Inn Fields. I worked at a digital agency on that London square for ten years – a big idyllic space in the centre of the city. Today, you can see office workers taking a lunchtime stroll or the tennis courts being used by the more energetic in the mornings. But on the 21st July, 1683 – Londoners would have been there to watch Russell meet his maker. As Russell was led down Holborn, some of the crowds insulted him while others wept. By all accounts, he sang psalms most of the way. Looking at the mass of people who’d gathered for their fun day out watching his beheading, Russell said he looked forward to being in better company very soon. Regrettably, his executioner wasn’t going to despatch him so quickly. Jack Ketch made a total mess of the job taking at least two axe strikes to get Russell’s head off. He later penned a pamphlet blaming Russell for distracting him!! Ketch later took five strikes to behead the Duke of Monmouth – so he had form. James, Duke of York, never got to have that execution at his front door. But he did go on to become king for four years. As expected, he pursued policies sympathetic to Catholics. And for that, he was duly overthrown. Politicians with Russell’s leanings invited a Dutch prince, William, to invade England and become king instead – which he duly did.